Tyrese Gibson pens the following open letter to his future wife. “You put love in the universe (and) the universe will give it back to you.:.. : no pride- no ego…. I’m actively seeking and will find you….. And I’m happy and excited about these intentions….” Wow! Talk about transparency. Talk about a passion for living! This post from Tyrese’s Facebook page spoke volumes about a man who is definitely on a quest to boldly live his fullest life. It’s hard to miss the exciting occurrences that make up Mr. Gibson’s life trajectory as he’s a media fave to watch and his “life-coach” type of transparent postings tend to have fans and followers taking self-reflective journeys. With that kind of energy exuding from his e-spaces – really him – how can one not be excited with and for him? For example, who can forget the Billboard-charting excitement after the July 10th release of his sixth studio album, Black Rose? 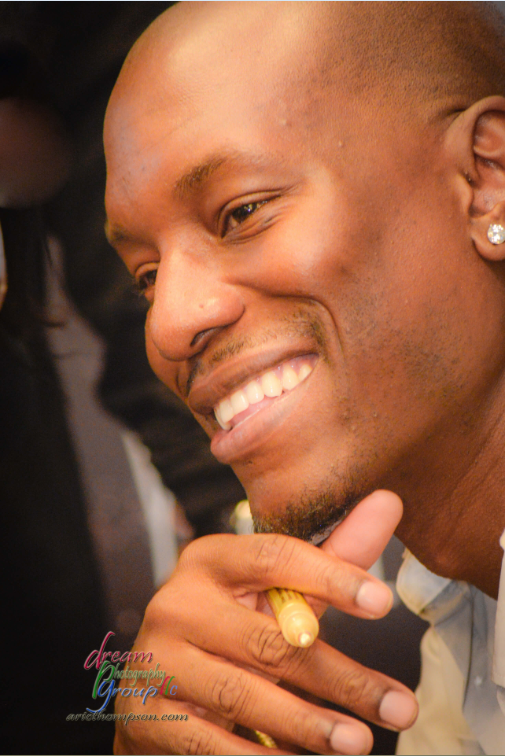 His excitement became ours when Tyrese earned the #1 spot on the Billboard 200 chart for that album – when he earned the #1 position of Billboard’s Top Album Sales – and yes, when the Grammy Nominated R&B singer, songwriter, actor, author, former fashion model, and philanthropist claimed the #1 position for Digital Albums sold, Independent Label Albums, and Top R&B Album for his latest musical project! Tyrese seemed to be on a mission with his efforts prior to the album’s release and all of those efforts fused with focus and passion, paid off – 83,000 copies of Black Rose, according to Nielsen Music, were sold in its first week. The thirty-six year old had gained another notch on his bringing-real-R&B-music-back-into-the-mainstream-limelight belt. 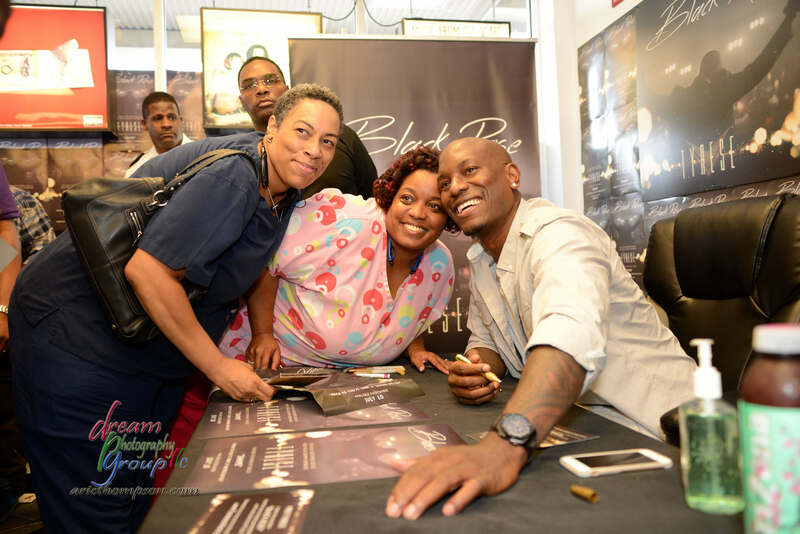 Tyrese’s passion for living seems to be one of the ingredients in his recipe for success and that was evident when we attended his in-store signing a few days after the July 10th release of Black Rose. 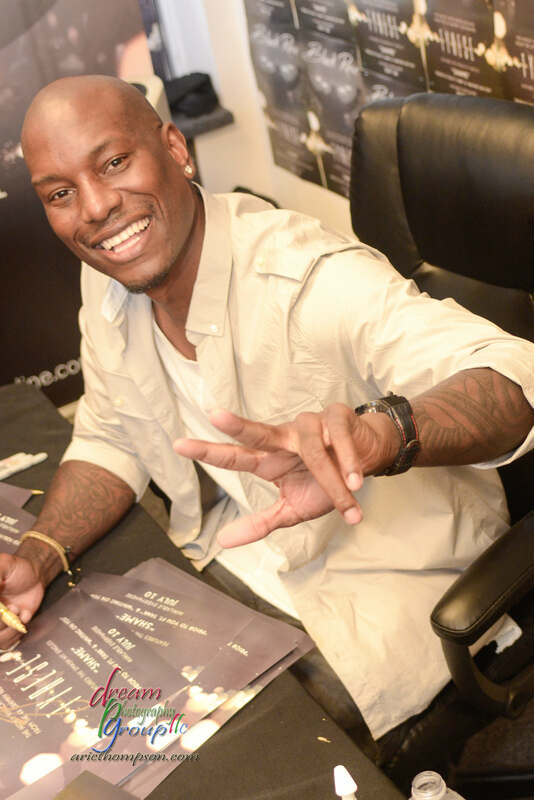 Immediately following the release through his independent label, Voltron Recordz, fans showed their love for the crooner through purchases and standing in line for hours to meet Tyrese at in-store signings. 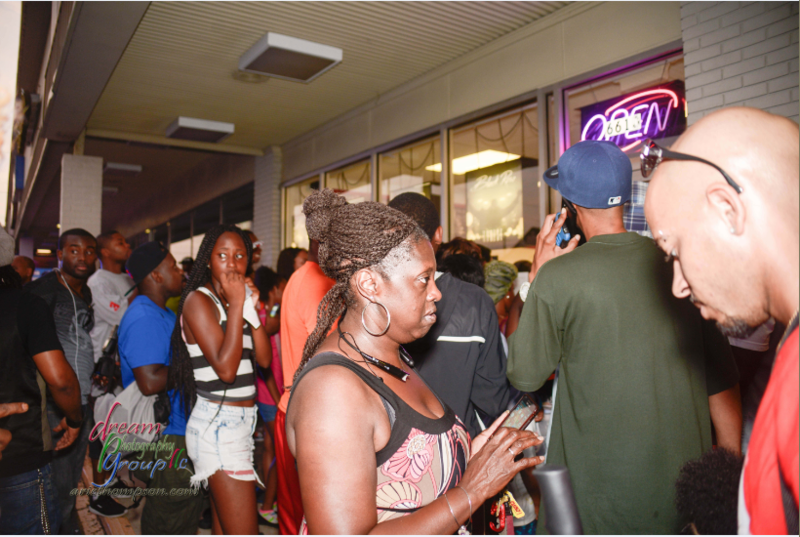 With one goal in mind – gaining the number one spot – Tyrese autographed thousands of CDs in New York, NY, Hyattsville, MD, Riverdale, GA, and Philadelphia, PA. Derwin Benito, owner of DBS Sounds, in Riverdale, GA said that the July 13th in-store was “one of his most successful events. When asked how he felt about the event, Benito said “A lot of people came out to purchase the album and I loved how personable he was with each fan.” Yup, Tyrese was definitely personable – treating each individual as if they were the only one there. Something had to be driving him to keep going and we think passion was the driver. We captured the rising temperature (literally and figuratively) and pulse of the crowd as the time neared for Tyrese’s arrival. 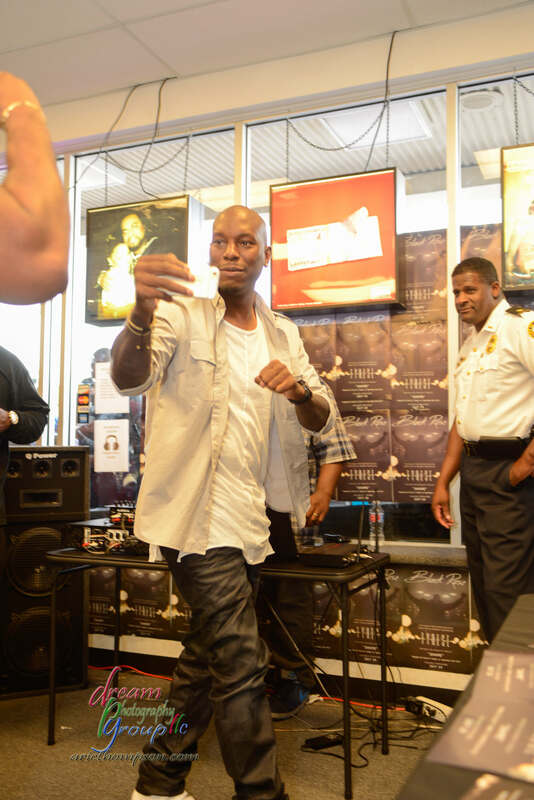 Despite his hectic schedule and to the loud screams of awaiting fans, Tyrese did a little dance when he first stepped into the store before getting to the business at hand – signing CDs for and taking pictures with over 1,000 fans. For three hours, the New York Times best-selling author, beloved Roman Pearce of the Fast & Furious franchise, and soon-to-be top-charting singer thanked each fan for their support, periodically sang, and danced. 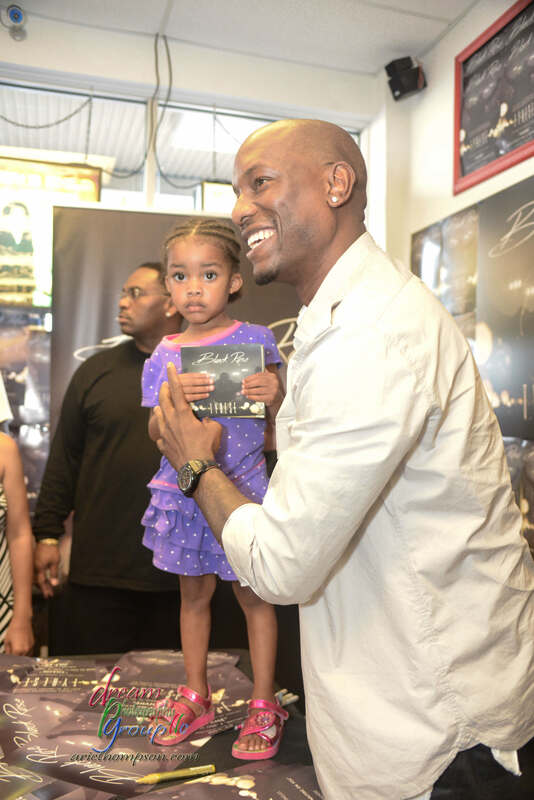 Originally scheduled to be at the signing for two hours, Tyrese stayed longer to ensure that all the fans, who had started lining up four hours before his arrival, were able to get their CD signed and take a picture – dedication! Passion, right? Fans waiting in line to take a picture with Tyrese. We are happy to have been on the scene to capture that moment and we remain happy to witness all of his achievements that have occurred since such as the recent premiere of his short film, Shame, with Jennifer Hudson, at Urbanworld Film Festival and receipt of the “The Entertainer of The Year” from the National Action Network’s Triumph Awards which aired on October 3rd on TV One…just to name a few. We also looks forward to what the future holds for Tyrese including the Fast trilogy with his family and nuptials with some very special lady, in the future, who will undoubtedly share his passion for living. Fans can find out more about Tyrese’s upcoming projects and interact with him on www.tyreseonline.com, Facebook, Instagram, and Twitter.